"Oreo" is a California King Snake (50-50 Desert California King Snake). I don't have any idea how old he is because someone gave him to me. I have had him for about five years now. He has grown about eleven inches since I first got him. He is now about 35 inches long and about as big around as my thumb. I couldn't hold him for long when I first got him because he wasn't used to being held and would try to bite me. It doesn't hurt at all when he bites - it doesn't break the skin or leave a mark. He is normally pretty well behaved now and I try to take him out of his tank every few days. Shedding: King snakes will shed their skin about every five weeks (according to how often it eats and the amount of humidity in the tank). Food: King snakes eat mice/rats. I feed Oreo one medium mouse or small rat once a week. (It's not as gross as is sounds... really!) In the wild King snakes eat rodents, birds, lizards, frogs, and other snakes. 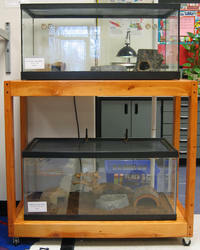 Tank: Snakes can't sweat - so the tank has to be set up with a warm side and a cool side. The snake can move back and forth as its temperature changes. 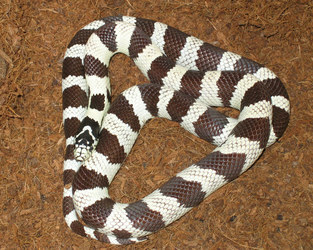 Color: There are hundreds of different types and colors of king snakes. 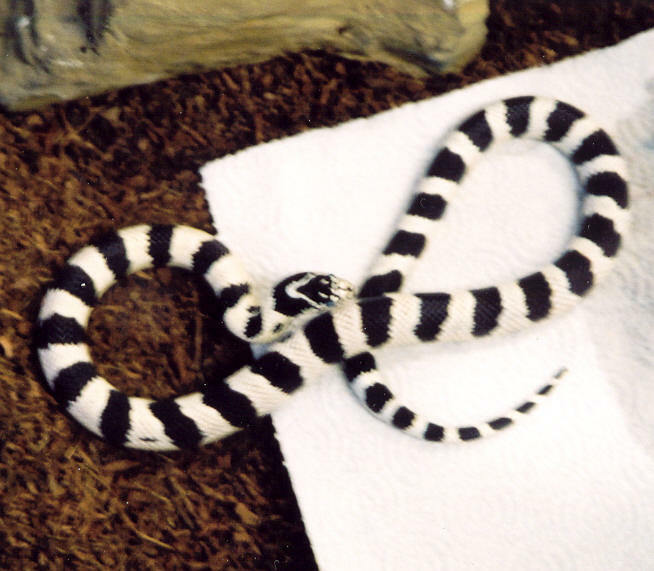 Longevity: Most King snakes live an average of 10 years. 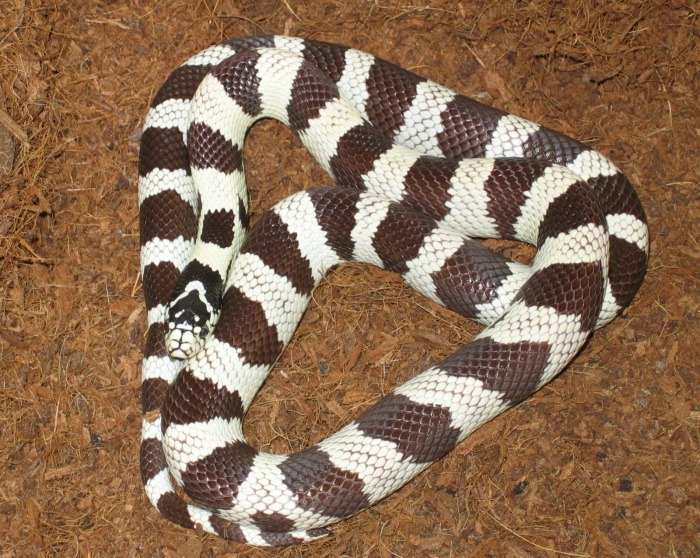 The King snake derives its name from it's habit of eating other snakes and is most famous for eating rattlesnakes, copperheads, and coral snakes. It was once thought that king snakes were able to eat venomous snakes due to their immunity to the venom. It is now known that King snakes are not immune to venom but has tolerance towards it.